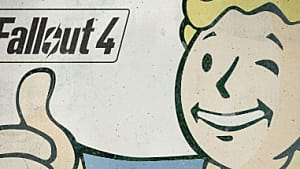 Fallout 4 launched late last year, and within just 24 hours the open-world role-playing game managed to move 12 million copies and acquire $750 million. That is both awe-inspiring and impressive, and yet some fans find the game to be lacking significantly when compared to previous entries in the series. Some feel the story, characters, and quests don't live up to the standards we were all expecting after waiting for so long. 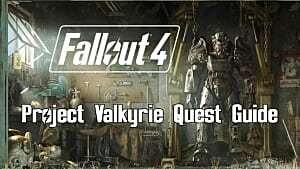 Personally, I found the post-apocalyptic RPG to be quite enjoyable, though I managed to achieve far more hours worth of playtime in Fallout 3 and Fallout: New Vegas. 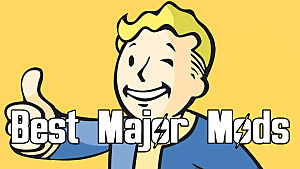 Being a Bethesda game, though, Fallout 4 is highly modifiable. You can add in all-new quests, new locations, new weapons, attachments, armor, NPCs, and whatever else the mind may conjure up. Seriously, there are some truly goofy mods already released. We're here to discuss weapons today, though. One of the staples of any first-person shooter - whether it be a straight up shooter or an RPG hybrid shooter - are the weapons featured in-game. Fallout 4 has a pretty extensive collection of choices for the budding survivor, but that can always be improved upon and expanded drastically. That's exactly what a few modders did with their time. Two of my personal favorite weapon modders in the game are 'ff7cloudstrife' and 'Millenia'. Both are highly talented individuals, and we'll see a few firearms from both of them here today. Designed and released by FF7CloudStrife, the M2216 Assault Rifle is reminiscent of the popular M16 assault rifle used by American soldiers since the Vietnam War. One of the coolest features of this class remake is the compatibility with so many different modifications already in place. The developer ensured players could attach various scopes to their carry rail, new barrels, various stocks, and even a pistol grip. Being such a highly customizable assault rifle, most players will discover a variant they truly enjoy after tweaking some of the stats and attachments. You can carry a CQB version of the rifle or perhaps a long-range version. The choice is ultimately up to you. The only downside, however, is the rifle cannot be found scattered throughout the Wasteland, though that is set to change in the near future. In order to use the weapon, players must spawn it into their inventory via console commands, which shouldn't be a problem for most. Designed by 'DOOM', the Desert Eagle is a powerful sidearm that most survivors will want on their person at all times. In close quarters, the bulky weapon is known to drop even the hardiest of Raiders with relative ease. Up-close-and-personal is how this silver weapon likes it. Like most weapons in the game, the Desert Eagle allows for attachments to improve upon the weapon. Right now, the developer has only allowed for a Flashlight Mod and Glow Sights, which will both be quite useful when exploring abandoned homes at night. Have you ever wanted to roleplay as Darryl Dixon from The Walking Dead? Well, now that is possible in Fallout 4 by using the Crossbows of the Commonwealth mod, which, obviously, adds in a few variations of the crossbow to the game. Designed by TrickyVein, this particularly useful mod features a highly customizable crossbow to the game. Players can craft different bolts for their new weapon, including flaming bolts, regular arrows, explosive bolts, electric bolts, and even ice bolts. 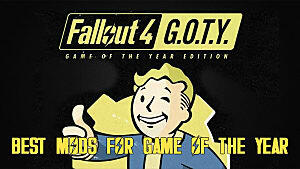 The options are almost limitless when dealing with any type of situation in the Wasteland. 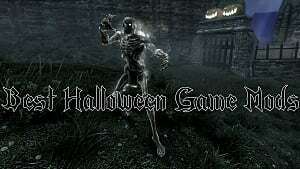 Unlike other mods mentioned, you can actually find various crossbows throughout the game world. Those who would prefer to simply use one instead of looting the crossbow can still make use of the Console Commands, however. Where is the fun in that, though?! Designed by 'henkspamadres', the See-Through Combat Scopes modification enables a 4x zoom on your weapons with combat scopes attached. This is quite useful while using an assault rifle or opting for a close-up sniper rifle battle. The developer describes his mod as adding in new scopes or replacing short-range scopes already featured in the game. The choice is up to you, though. The scopes added include an 8x, 4x, 2.5x, and a 4x Recon Scope. Each one has a customizable reticle, ensuring your weapon is truly your own. Basically, this mod makes the game feel a bit more like a traditional first-person shooter. After toying around with the new scopes, we felt a bit stronger and more focused in our fire. Remember we mentioned weapon mods designed by 'Millenia', well here is a texture pack for the double-barrel shotgun already in Fallout 4. This is a quick download mod that basically creates a scratch-made texture for the vanilla model of the double-barrel shotgun. In short, the texture makes the powerful weapon appear more rugged and used, like it should after spending time in the Wasteland. Fans of the monster-stopping shotgun should find the texture pack a bit more immersive. It adds character to the weapon without changing too much about what made it great. Designed by 'Niero', the CROSS PlasRail is a new form of energy weapon that fires a bolt of plasma which will explode upon impacting with an enemy or surface. The explosion damage, according to the developer himself, is equal to your listed energy damage with the Demolitions Perk. 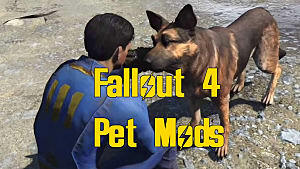 For some, that could be quite an intense burst of energy being lobbed at a Deathclaw. Burst Flamer - Fires a burst of plasma fire, igniting the targeted area and dealing damage to a single area. Crystallizer - Fires a cluster of six plasma shards. Each shard will shatter upon impact and cause bleeding damage to an enemy. Disc Launcher - While aiming, the Disc Launcher will lock-on to the enemy. Players can fire exploding discs of plasma, which can be arced around corners. Arc Cannon - Probably the coolest feature is the Arc Cannon, a long-range conversion modification for the already impressive plasma weapon. Arcs are 100% accurate when the weapon has been steadied, and will fire multiple arcs of plasma lightning. There are even various sites, like the Reflex, Combat, and 6x Scope, to attach to your weapon, effectively increasing its already devastating range of use. Designed by 'friffy', the Just Holstered Weapons mod is pretty simple and basic in terms of weapon modifications to the vanilla game. It does require Visible Weapons to work 100% correctly, though, so be sure to download that beforehand. 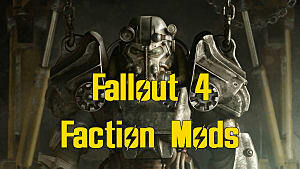 Basically, for those players who enjoy wandering the vast expanses of the wastes in third-person, this mod allows your main weapons to be completely visible while holstered. As you can see in the sample image above, the player has a sawn-off double-barrel shotgun attached to one shoulder and a sword on the other. This adds a bit more realism, immersion, and just plain looks cool overall. What is cooler than a fully-automatic assault rifle? A fully-automatic assault rifle with an underbarrel grenade launcher attached for maximum devastation in mid-range conflicts, that's what! Developer 'SkyrimForDaWin' wanted to craft a unique assault rifle known across the real-world, but one that is as highly customizable as its real world variant, too. Well, he scored a huge win in that regard. If there were ever just a single gun to push you through Fallout 4 and come out on top of numerous firefights, this would be the one to choose. The Jaguar MSX 200 LMG is an ugly weapon, granted, but an incredibly useful man-stopper at mid-range engagements. The fully-automatic support weapon, designed by 'MAIBATSU' and 'DOOM', was originally featured in Fallout: New Vegas before being ported to the most recent release. You can find it either naturally within the game world or by using Console Commands to quickly receive your own version. Best of all, it's available on the Xbox One! If this were a true apocalypse, the number of weapons would not be quite as high as it were. People would make use of rudimentary spears, throwing knives, blades, and bows and arrows. Well, this mod rectifies that by introducing a pretty cool recurve bow and arrows to the game. Developer 'Junnari' probably played too much Skyrim before shifting his attention to Fallout 4, which led to this particular mod. The arrow projectiles fired from the bow shoot in a clear arc, which means normal sights like on firearms won't work correctly. You must account for distance when firing upon an enemy. After some much-needed practice and more than a few kills, players will probably feel like the ultimate killer while sneaking through the Wasteland, silently picking off Raiders with a arrow shot to the dome. 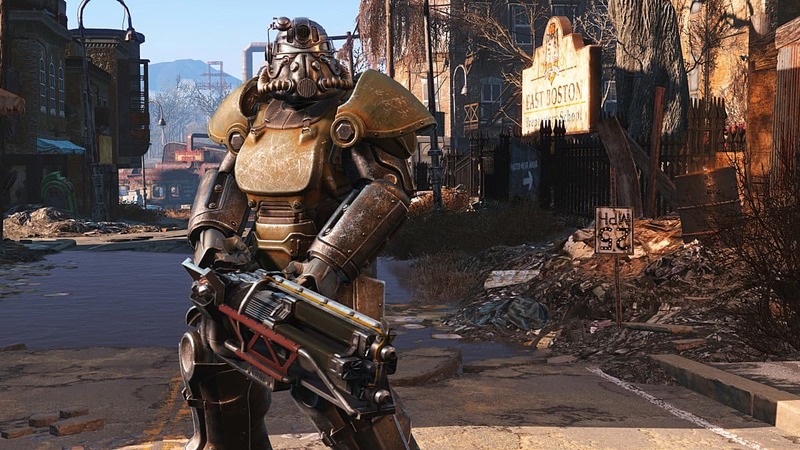 As you can see, there is a pretty wide variety of new weapons and tweaks to already existing weapons within the world of Fallout 4. 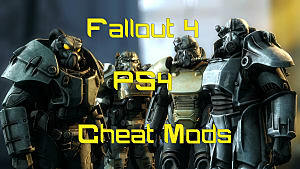 These mods are simply the tip of the iceberg, with brand new releases occurring on a near daily basis. Some options are highly customizable, as we mentioned in each section, so some players may not feel the need to download numerous weapons to fill in their inventory space. One single assault rifle could last you the entire game with a variety of attachments. It is hard to pick a favorite when there are so many wonderful options available on Nexus Mods. Brilliant developers continue expanding upon this open-world extravaganza, ensuring everyone can find their favorite firearm to use in-game. Which weapon mod was your favorite and why?